Tracy Shaw - Mediator based in Nashville, Tennessee. Please click your preferred available date to submit a request. Your Appointment Form will be sent to Tracy's assistant, Monica Jacobs. Tracy has a 38+ year litigation background with substantial jury trial experience in both state and federal courts. He has successfully tried a wide variety of lawsuits and was one of the first attorneys to receive certification as a Civil Trial Specialist by The Tennessee Commission on Continuing Legal Education and Specialization. In 1994 he received certification as a Civil Trial Specialist by The National Board of Trial Advocacy. He maintained active certification as a civil trial specialist for 20 years. Tracy has been AV rated by Martindale-Hubbell for over 25 years and he currently maintains a 10.0 ranking by Avvo, a nationally-based ratings assessment profile. Tracy is listed as a Rule 31 general civil mediator by the Alternative Dispute Resolution Commission of the Tennessee Supreme Court. 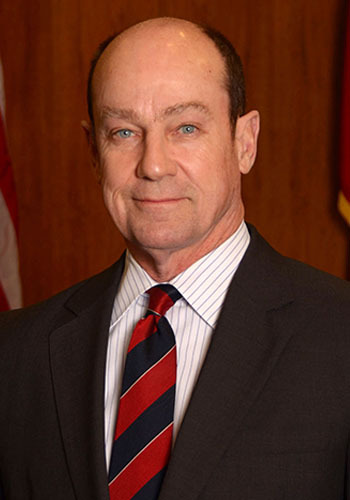 He was a Founding Member of the Tennessee Association of Professional Mediators and he currently serves on the Executive Committee of The National Academy of Distinguished Neutrals, a premier group of the nation's most experienced civil trial mediators and arbitrators selected by litigation firms across the United States. Following appointment by the Tennessee Supreme Court, Tracy served as a member of the state's ADR Commission through early 2016. Tracy has been peer review rated by Business TN Magazine as being one of the top 150 lawyers in Tennessee. He has been elected in many editions of the Nashville Business Journal's "Best of the Bar" annual publications and also in Nashville's Best Lawyers newspaper publication. He has been recognized in Best Lawyers in America for over 25 years. Tracy is licensed in Tennessee and California. He was elected by the membership of the Nashville Bar Association to serve two terms (six years) as a member of the Board of Directors. He is a Fellow of the Nashville Bar Foundation. Tracy earned his law degree from Pepperdine University in 1979, and served as an appellate judicial clerk before joining the firm. Please call my office for rate information - (615) 921-5204. Note: Evening mediations (starting at 5:00pm) and Saturday mediations are also available, by appointment.